The Southwest Monarch Study is researching the migration and breeding patterns of monarch butterflies in Arizona and the SouthWestern United States. It was once believed that monarch butterflies East of the Rocky Mountains flew to the mountains near Mexico City for the winter and monarchs West of the Rockies flew to the coast of California. Through Fall tagging in the Southwest (Arizona, Nevada, New Mexico, California deserts, Utah and Western Colorado), we have learned that this is not always the case. Ten year's worth of data have been published in a recent paper (Morris et al. 2015). Among the many findings reported there: monarchs are found all over Arizona. Some don't migrate, but those that do have been shown to go both to Mexico and California overwinter grounds. A really nice summary of the results can be found here. Morris, G.M., C. Kline, and S. M. Morris. 2015. 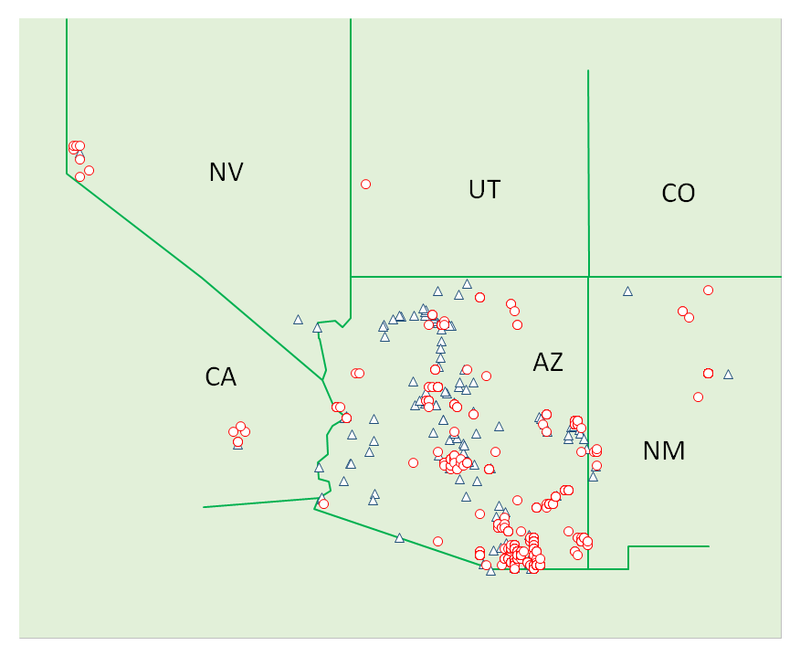 Status of Danaus plexippus population in Arizona. Journal of the Lepidopterists' Society 69:91-107.